These were one of the words from one of our chants made on the MakePovertyHistory roadtrip campaign in May this year (8-15th May 2010) where lifetime friendships were made and we each gained a greater awareness of both ourselves and others on our adventure - But that wasn't the only thing we achieved - what we achieved, together, was something more than that! 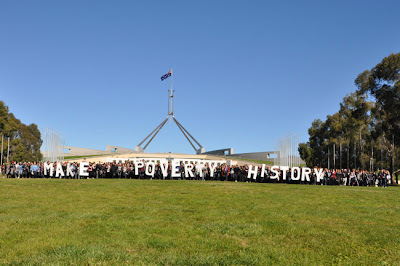 So for those who aren't familiar or aware of the campaign, it was where 1000 like minded ambassadors nationwide gave up a week from uni and/or study to head towards Canberra via our capital cities, various country towns and communities to help end extreme poverty and MakePovertyHistory! When we say 0.7%, we are referring to increasing the 0.5% GNI commitment by Australia to assist these needly communities and fulfilling our promise to commit 0.7% by 2015 (that's 70 cents in every $100). 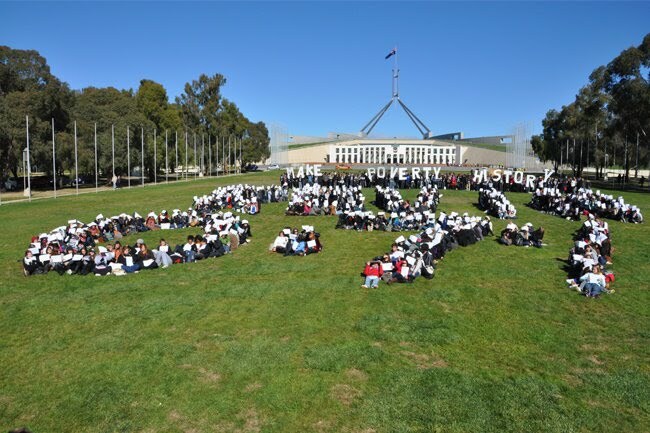 When we say we'll eventually eliminate extreme poverty worldwide, we mean it, as Australia's aid efforts alone in the past 20 years has eliminated Polio within the Asia Pacific region (our backyard), a crippling disease that had previously left many to paralysis or even death. While our efforts has been concentrated on getting people to sign an Act to signify Australia's commitment to end extreme poverty (for which we have been successful in getting motioned in Parliament with 47,000 fellow Australians signing the Act) it is only the first steps. 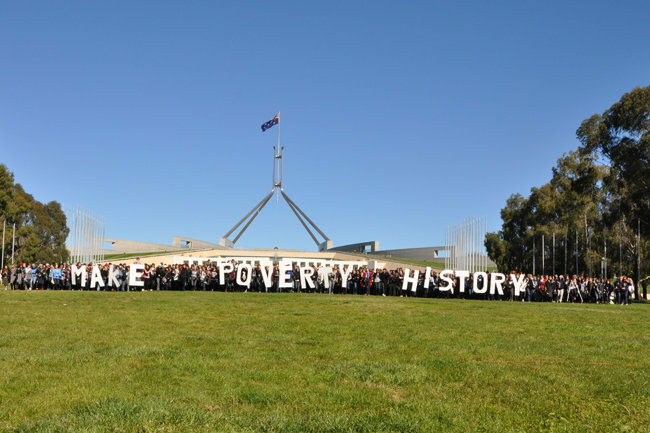 The next steps are ensuring that Australia continues to fulfil it's commitment and together, we can make a difference and MakePovertyHistory!